As we noted in our last book list (a selection of titles chosen by renowned publishers, editors, and photographers), we are drawn to work that inspires the artists who inspire us. Perhaps we feel that by studying the art that sparks their creativity and their vision, we will feel some of the same inspiration—or maybe these new discoveries offer novel insights on the images that captivate us. Either way, we are always asking photography experts to tell us about the work that they find moving and exciting. So, we reached out to our favorite curators and gallerists and asked them to tell us about the books that inspired them this year. After all, these are the people who help decide what work we should be looking at and how that work is presented. Below you’ll find a journey across India (and through the pages of the country’s national epic); a brilliant catalogue that accompanied one of the “most complex (and genius)” exhibitions of 2017; important and overlooked stories from across Europe, the Middle East, South America; and much more. We hope you enjoy this diverse and wide-ranging selection and find some inspiring (and unfamiliar) books and publishers for further readings in the new year. You can discover the Top 11 “critically acclaimed” books from 2017 as well as the favorites from photographers, publishers, and editors in our previous coverage of the best books from 2017. Enjoy! Please note that you can scroll to the bottom of this article to see 72 photographs carefully chosen from the 23 selected books. Yogananthan has promised seven books in this series inspired by the ancient Sanskrit text, the Ramayana. Echoing the text, the artist travels from north to south India photographing revealing moments from daily life, moving fluidly between landscape, observed vignettes, and portraiture. The third volume in the series, titled Exile, tells the story of how the protagonist, Rama, spends 14 years in the woods while banished from his kingdom. The wonderfully subtle photography, design, and rhythm of the book conveys a deep sense of purpose and a poetry beyond the often modest subjects depicted. Local Objects feels like a quiet walk through the neighborhood we all grew up in. Carpenter’s ability to make you slow you down and focus on the subtleties of life rightfully places him in the lineage of Robert Adams. Ice Plant only accentuates that connection with a clean, elegant design—one of their best books yet. 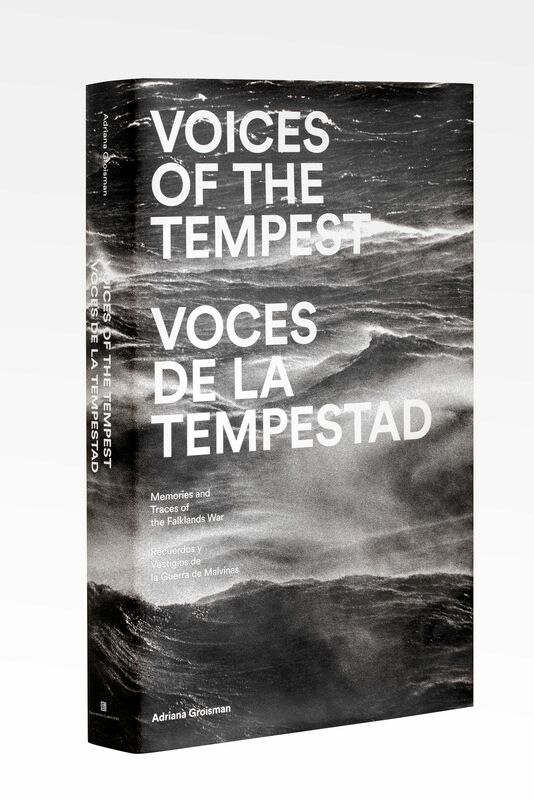 I admire obsessions that lead to fruitful ends, in this case, Adriana Groisman’s Voices of the Tempest. Not being present for the Falklands / Malvinas conflict in 1982 that so dramatically affected Argentina’s history, Groisman began in 2003 to photograph the traces of conflict on the island and its violent surrounding sea. The latter included the search for the sunken Argentine war cruiser ARA General Belgrano that cost 323 lives. Groisman interviewed the island’s residents and military combatants of all rank, both British and Argentine. I laughed over the woman who waved a white goose as her only available way to signal the advancing soldiers that she surrendered. I was moved by the Argentine pilot who, hoping for closure, sought out his British counterpart after the war even though that pilot had shot down two close friends. 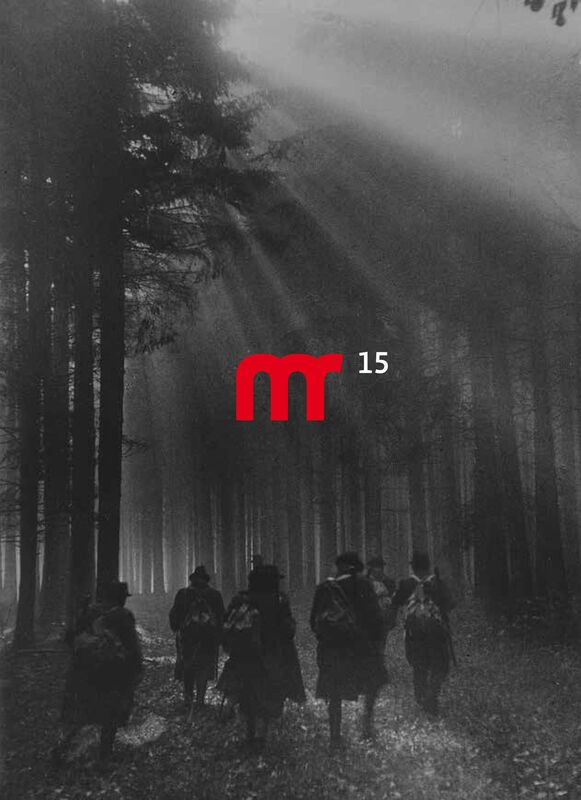 Strong photographs, engaging text, welcome addition to understanding the never-ending cost of war. 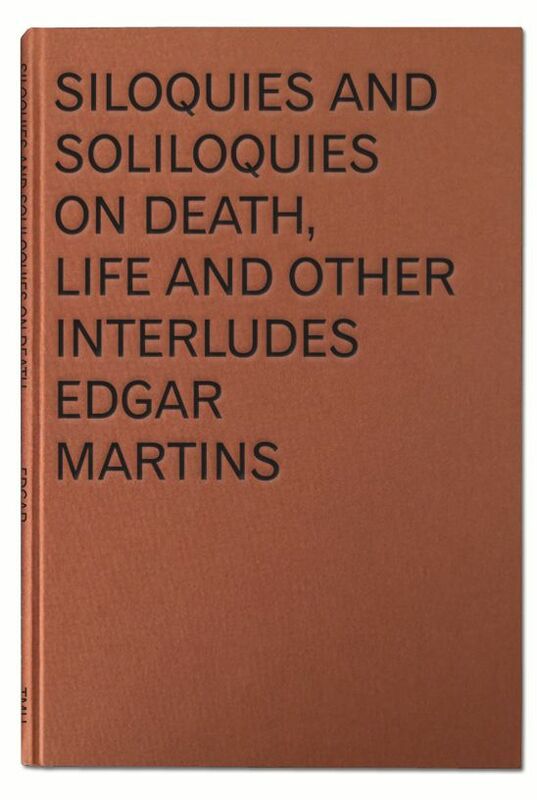 Possibly the most complex (and genius) conceptual book which accompanied a museum exhibition in 2017—Edgar Martins’ Siloquies and Soliloquies on Death, Life and Other Interludes. Notions of death and forensic material gathered during many years of research combine to make this compelling and extraordinary work, visually and intellectually. Lorenzo Vitturi was a student of mine at La Fabrica in 2006. From his very first steps, his curiosity for exploring his surreal images was evident. By putting in contact his forms, subjects, and sublime subjects, he created a truly original vision. 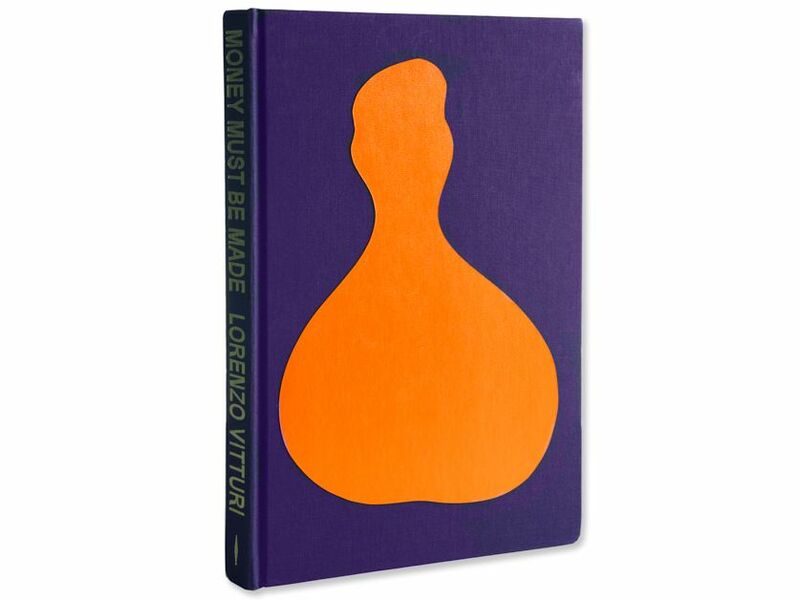 In his latest work, Money Must Be Made, he utilizes, with great wisdom, the colors of the Italian Renaissance. 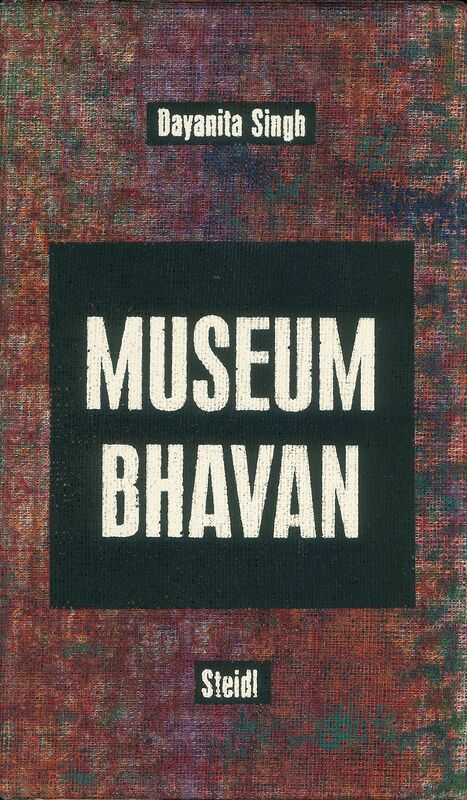 Museum Bhavan is an interesting experience between publishing and the museum, where a book has the same value as a piece of art in an art gallery. The book becomes an exhibition and the exhibition becomes a book: actually a “book-object.” The 10-volume box set is a hybrid catalog-book-display object. It is a private museum made public, an example of contemporary taxonomy. For more than twenty years, Anne-Marie Filaire has been building a body of work that is dense, engaged, rigorous, and monumental. Her first series, made in the ’90s in her native region of Auvergne, opened her to the subject of landscapes, leading her on a longterm personal and photographic quest. In this permanent movement between time and space, between history and the present, sounds an underlying violence. Far from the blinding moments of conflict, the distant horizons encounter the confinement of inextricable political situations. 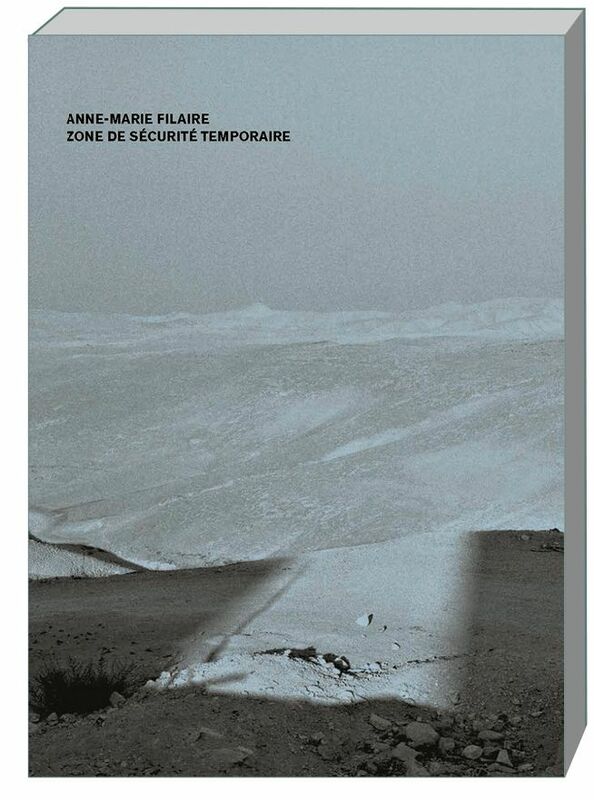 Her latest, Zone de Sécurité Temporaire, is a necessary book that focuses on a political subject with a poetic gaze. Definitely worth being discovered. 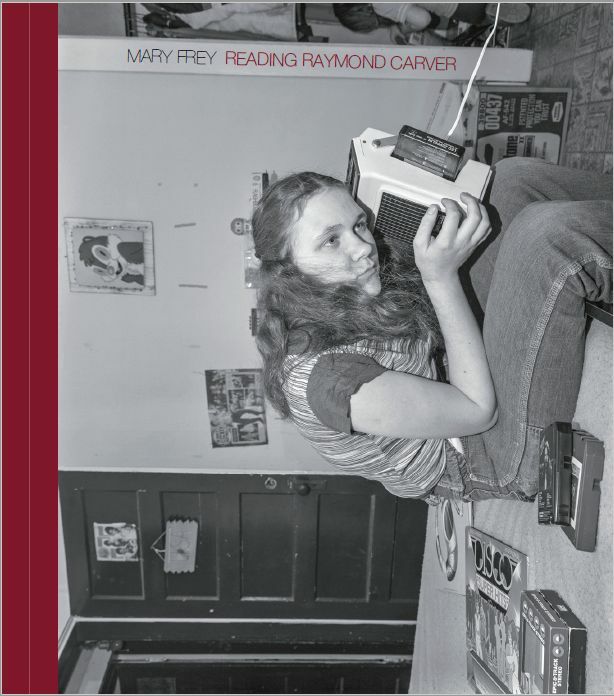 I spotted Mary Frey’s book, Reading Raymond Carver, recently at Medium Photo Festival in San Diego and was immediately hooked. The moments captured are so good they seem too good to be true—because, mostly, they are. In 1979, Frey was fresh out of a graduate photography program, pregnant and with her first teaching job. She used her family and neighbors to construct funny but relatable scenes, purposefully mimicking 1950s Good Housekeeping and LIFE imagery of the prototypical nuclear family. There is a boy in a basement holding his volcano project; a mother and child eating Raisin Bran; sisters listening to disco records; women smoking cigarettes with kids in laps. Looking back from almost 40 years later, nostalgia contributes to this book’s excellence but doesn’t supersede the quality of her beautifully crafted photographs. Bleu is an immersive journey into the textures, colours and patterns of skin. 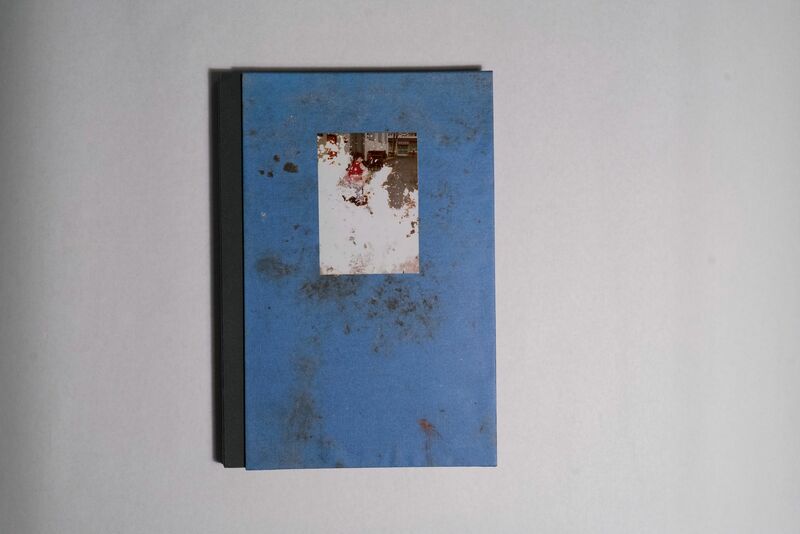 This wonderfully tactile photobook absorbs the viewer in an abstract world of flesh. 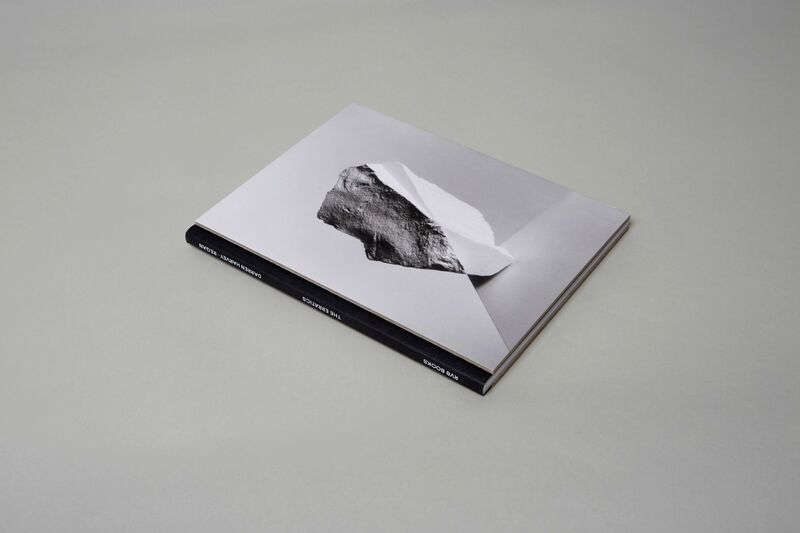 Marie works at the intersection between sculpture and photography and it’s fascinating to see how she has resolved these two interests through the form of the photobook. The Ward, Gideon Mendel’s documentation of the first ward in the UK dedicated to HIV/Aids patients in the early 1990s, is both moving and poignant. 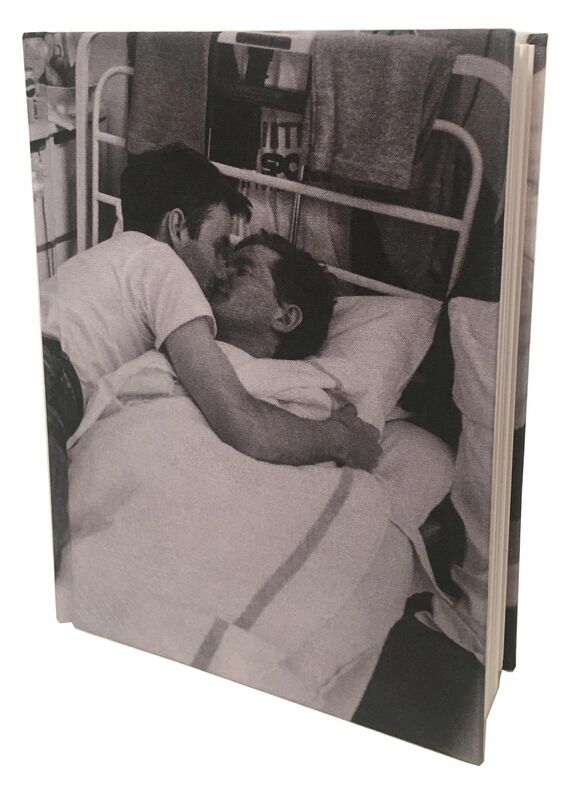 The size and the design of the book is intimate and quiet, and the testimonies of doctors, nurses, partners and family members of the dying patients provide a heartrending context to Mendel’s tender images. Darren Harvey-Regan predominantly works with photography in spatial exhibition arrangements. This is his first photobook. Originating in the artist’s desire to liberate himself from the weight of representational imagery—a yearning for abstraction, The Erratics combines observed photographs of naturally occurring stone formations with carefully crafted records of studio-based chalk sculptures. Together with a new text piece by the artist, the book achieves more than a simple translation to print format; it extends the process. We’ll carry you to the burial ground. Clearly, I see the subject and the book in my own way. Specific verses and associations come to mind. They are very far from what the artist meant by the work, and I am thankful for the space for interpretation that is left by the publication. I want to highlight Lullaby 1 not because it’s the best book of 2017 (I don’t believe in such a category), but rather because it caused in me a very subjective reaction that I will never be able to describe in the framework of 150-200 words. I can’t but mention the formal qualities of the book: elegant edit, beautiful riso print, and the fact that it belongs to a larger Lullaby project that deals mostly with graphic art. 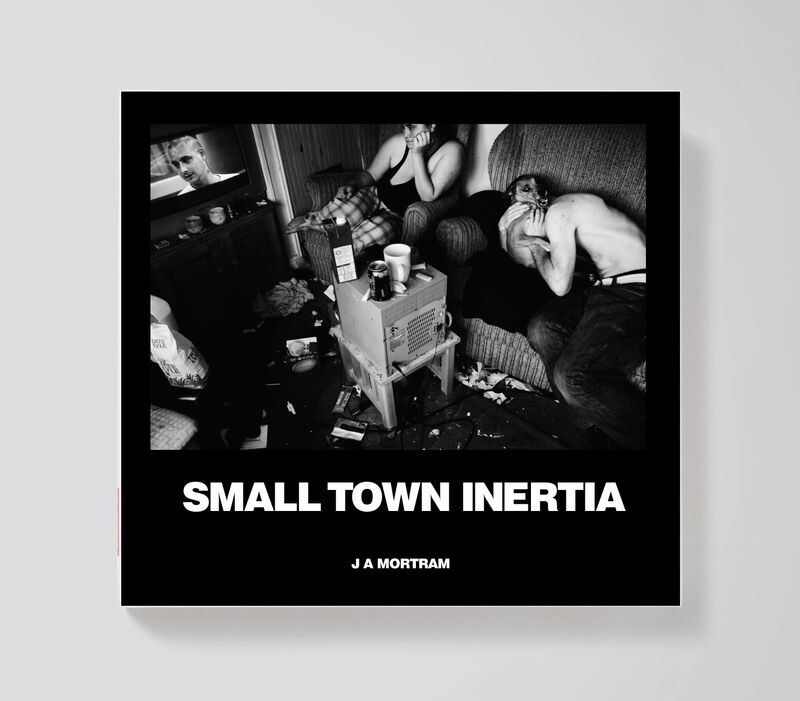 A long time coming (in the best way), Small Town Inertia proves that you needn’t chase the big smoke, the big names or the big bangs to make important work that speaks universally. 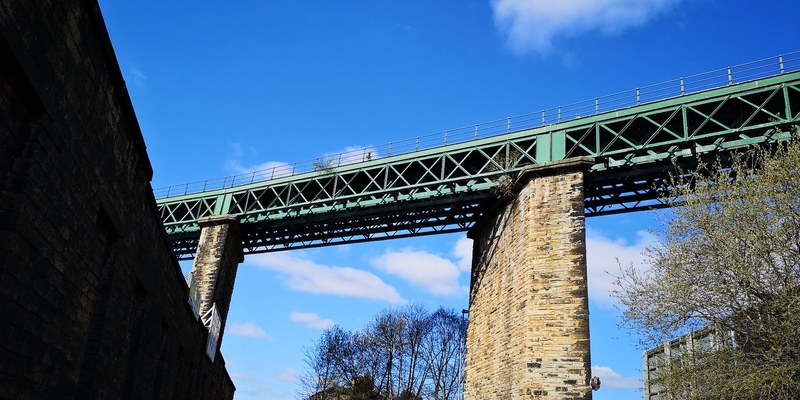 From the town of Dereham and the surroundings, Mortram has made work that should remind us of our deep connection and responsibility to our neighbours. “The Restoration Will” © Mayumi Suzuki. Published by Ceiba Editions (alongside a self-published, hand-made edition). Ceiba Editions publication pictured here. The Restoration Will is a book about resilience: in psychology, it’s the ability to live, to succeed, to develop in spite of adversity. Looking at this extremely moving book, you can perceive something heartwarming. You can feel the “mental restoration” one may experience after a devastating event. This is Mayumi’s goal and she accomplishes it splendidly. 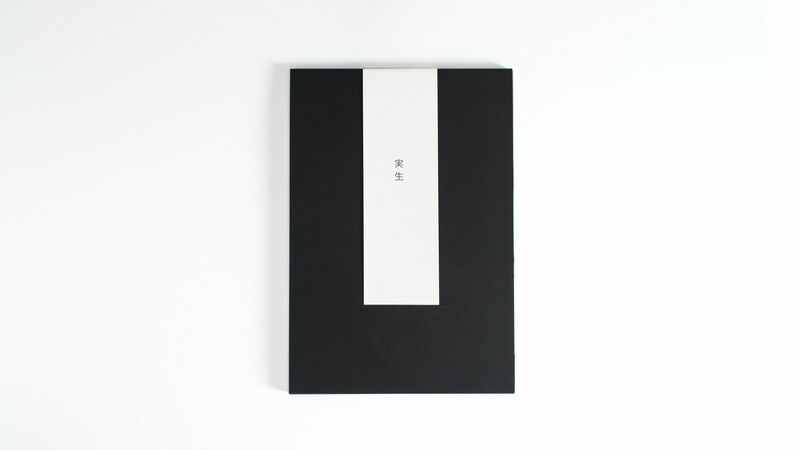 MISHO is an intimate, elegant book and very well-made. 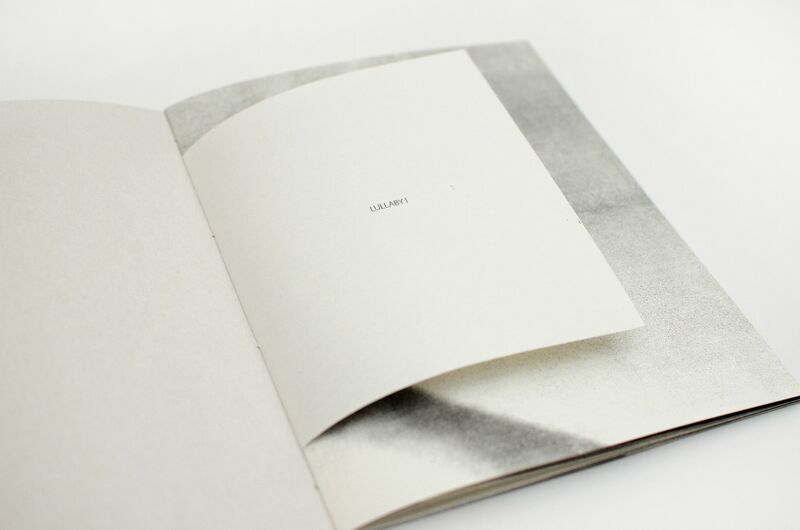 The book was silkscreen-printed with a photo-luminescent ink that allows the images and text to be seen in the dark. I would like to heartily recommend my favorite photo book of the year: Internat by Carolyn Drake. I bought my copy in advance many months ago, and receiving it a few weeks ago was revelatory. It is brilliant—from the fold-away cover to hand-colored spine to the genre-busting photography that veers from documentary to fine art and back again. Nothing else I saw this year came close. 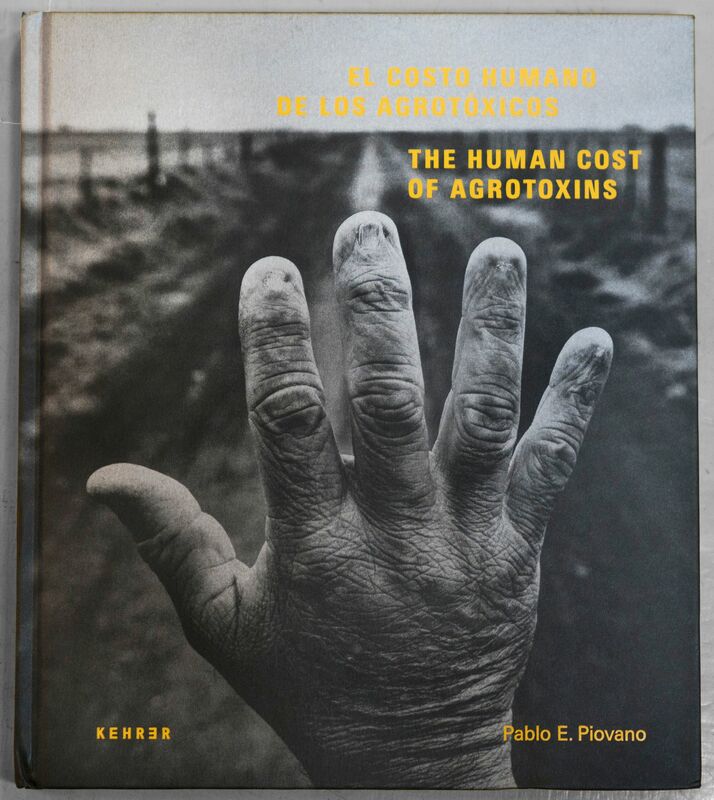 The young photographer takes us with him to the dark side of globalization and shows us the shocking effects of the use of glyphosate herbicide spray in his home country (Argentina) for decades. The Human Cost is a brave book at the right time, that dares to ask questions about the limits of the habits of consumption in the Western world. 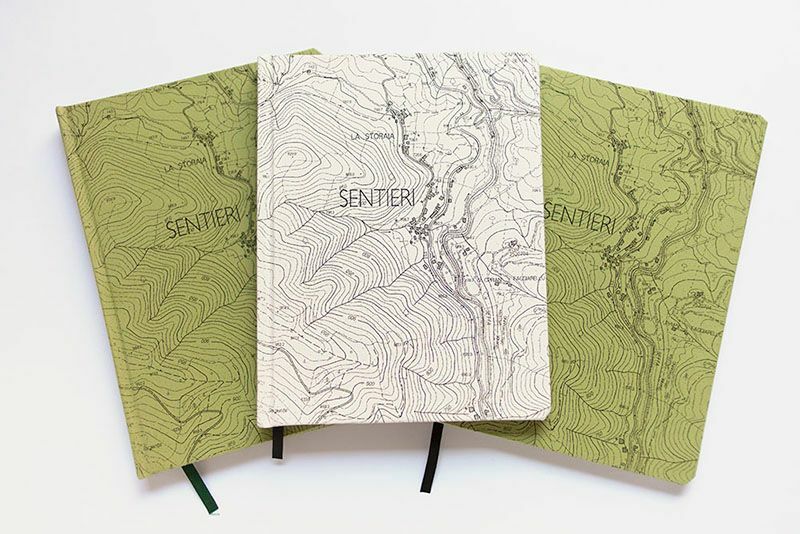 Sentieri is a wonderful, poetic, handmade book about nature. It includes photos of landscapes and found objects, watercolors, drawings and text. A book you want to look at very often. In an edition of only 50, with numbered and signed copies. 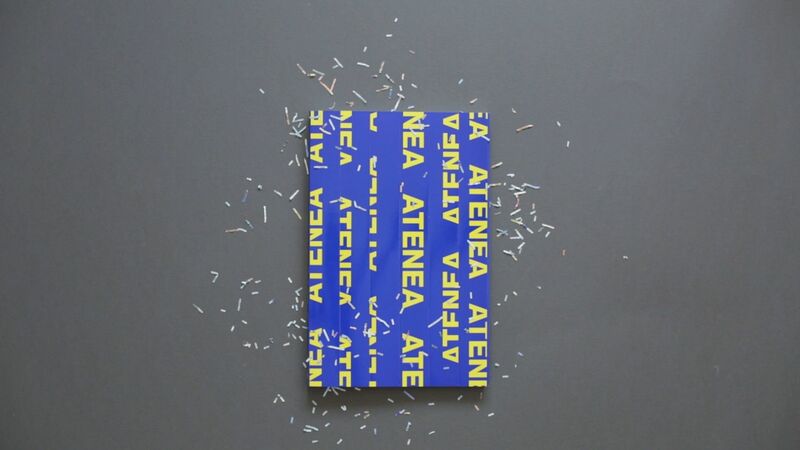 Atenea is a small but powerful book, which, in bright colours and big fonts, takes us on a journey through the Euro-powered EU. With a souvenir pack of one million “fake” euros in his backpack, Roger travels from the European Central Bank HQ in Frankfurt to the Parthenon in Greece. A real and symbolic journey from the financial power to the traditional values behind the EU, from wealth to crisis, from finance to daily life. I love how the images play with each other from page to page, and I adore the large-format words that streamline the story. No extras, just essential basics. “There Are No Homosexuals in Iran” © Laurence Rasti. Published by Edition Patrick Frey. 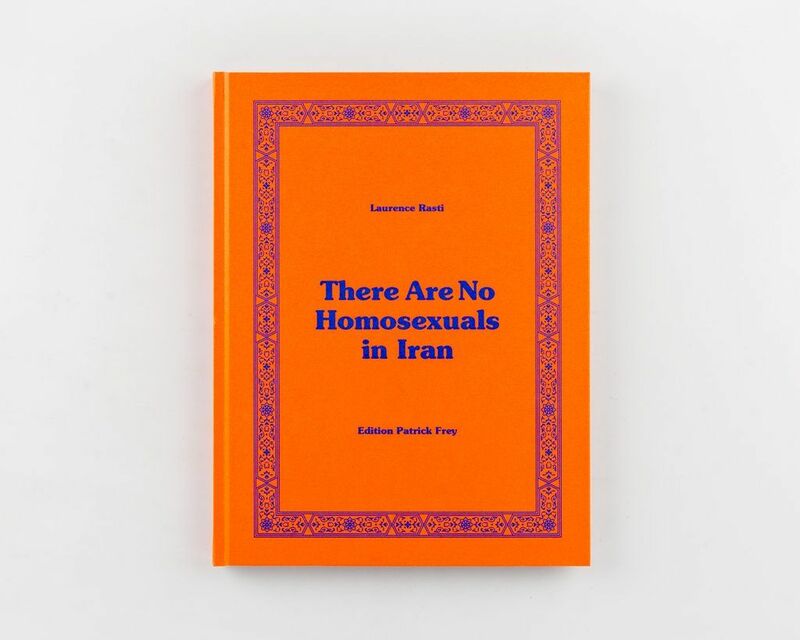 A collection of seemingly quiet portraits which pack an immensely powerful punch, in There Are No Homosexuals in Iran Laurence Rasti has beautifully photographed a community pushed into hiding by their own people. The limbo experienced by gay Iranians stuck in Denizli, Turkey where anonymity is their best protection from persecution is astutely captured by Rasti, leaving the viewer keenly aware of the dangers which lurk in the silence of their struggle to stay safe. Jamie Hawkesworth’s new photo book Preston Bus Station is the final result of a project dear to his heart. Just like the photo series itself, the design of the book was years in the making. 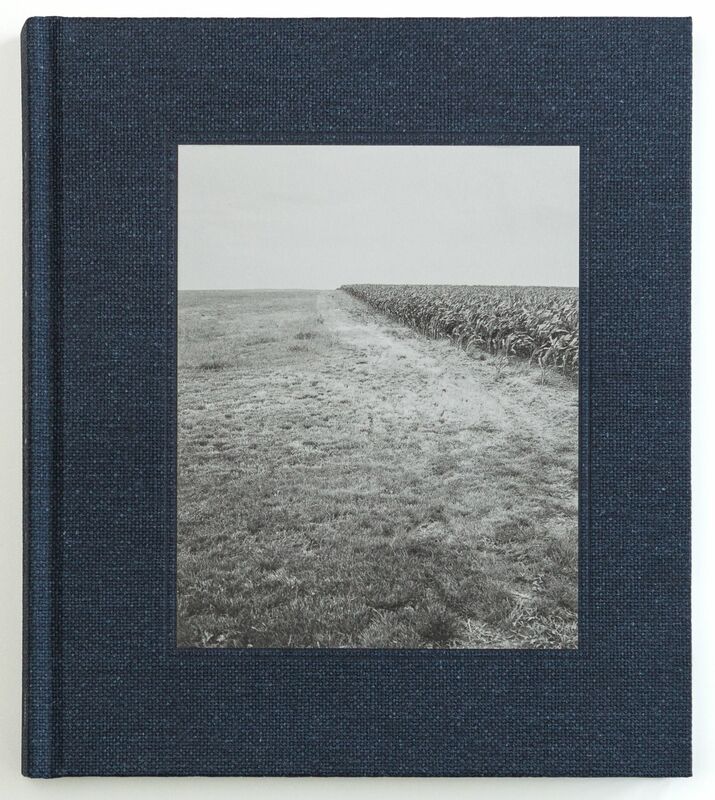 The book represents Jamie’s work in its purest form, as it lets the photographs speak for themselves: there’s no introduction, there are no texts, no captions, not even a biography of the photographer, just a small colophon. It is a photobook in its purest form, giving the images full exposure and by doing this becoming a contained object in itself. The refined details of the book design and the color-saturated printing reinforce the impression of being in the “enclosed” world of Preston Bus Station, where Jamie walked around in an endless loop, with an exquisite—and very democratic—eye for detail. His sensitivity picks up on the gentle grit and glamor of daily life, and foremost, the individuality of the passengers of Preston who were given extra warmth: not only by his attention but also because of Jamie’s specific and special color palette. 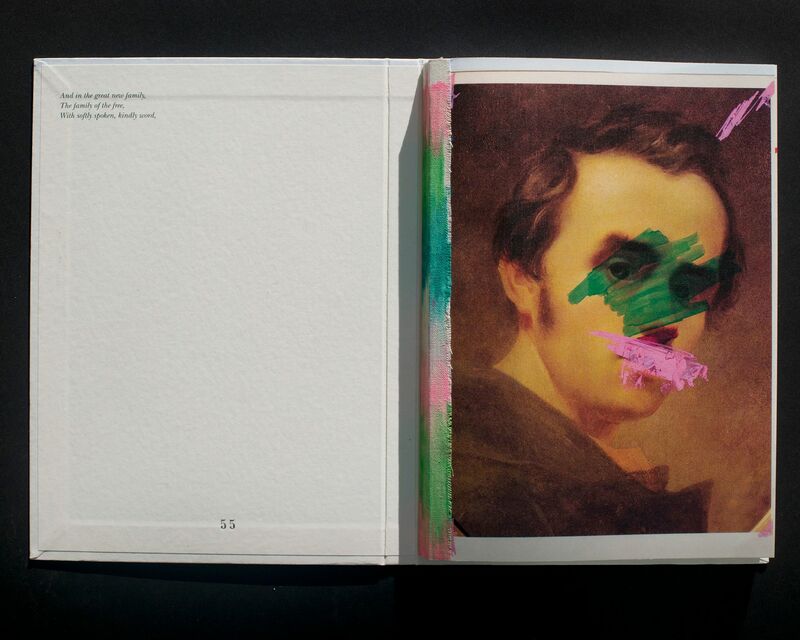 This book is part of the “History of Misogyny” project currently developed by Laia Abril. 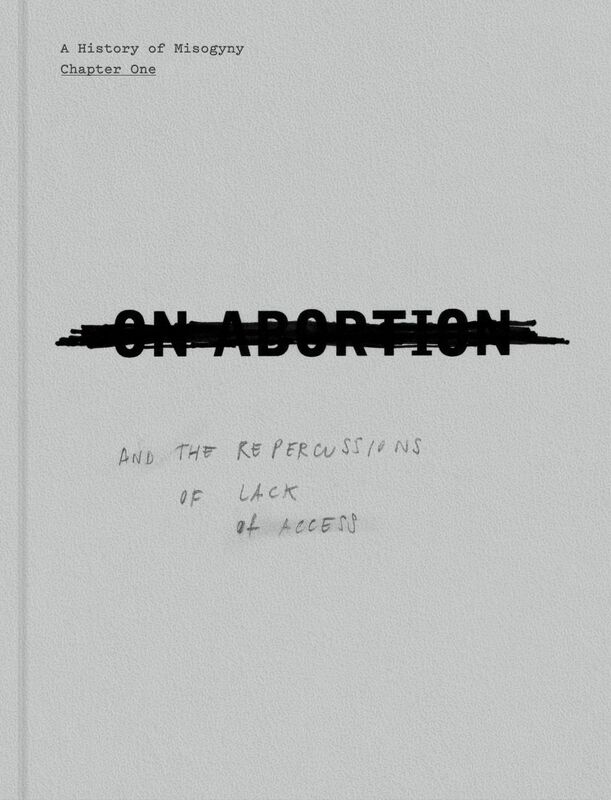 On Abortion is the first volume from this ongoing series. Here, Laia Abril observes women’s reproductive rights from the past to today, raising different questions related to ethics, taboos, society, culture, and what is visible and remains invisible. The research itself opens many issues that are still crucial in 21st century. The design of the book supports the variety of images and texts brought together in this volume. Marin Karmitz presents a great lesson to all those collectors who shop for pictures according to the generalised “good taste” of their class and type. Karmitz couldn’t care less about shopping. He’s loyal to his artists, interested in a very wide range of imagery, devoted to telling the same kinds of stories that he told years ago as a photojournalist. His collection is his communication, and he wants to address the human condition, as directly as he can, with neither squeamishness nor euphemism. Simple to say; not so simple to do. 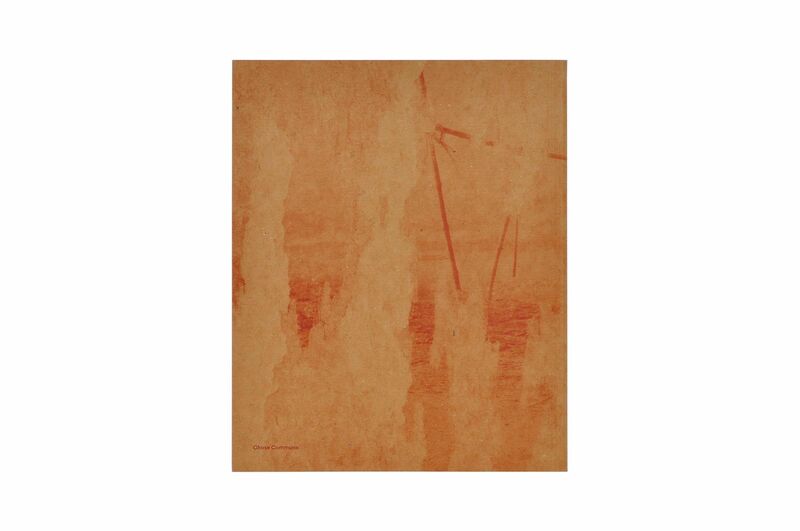 The catalogue, titled Etranger Résident, is the second publication to come from his enormous collection, and together they have just scratched the surface. We’re told that the Maison Rouge, a privately-owned contemporary art centre in Paris, will soon close down. We regret it; we’ll miss exhibitions of the caliber, courage, and class like this one. The catalogue does, in the portable form of a book, what the show did on its much larger scale: moves you to the pit of your boots in ways that are fresh but not the less profound for that. It was maybe my show of the year; and the book gives a worthy flavour of that. Roland Barthes didn’t say “cheese” for the camera. The eminent theorist wrote brilliantly about the images of others but felt uneasy in front of the lens himself. On the back of my copy of Camera Lucida (1980), there’s a picture of Barthes, debonair, as always, but looking down, grimacing, apparently sighing in exasperation. I can relate. A simple headshot turns me into: guy squinting in sunlight, guy who just drank lemon juice. Do you show your teeth, raise your eyebrows, look straight at the camera as if it were a person? And how do you hold that face, and keep holding it, like a man in a straightjacket pleased with his invisible friends? The lens’ stare prompts us to try. Barthes declares, “I constitute myself in the process of ‘posing,’ I instantaneously make another body for myself, I transform myself in advance into an image.” One time, he plays coy and ironic: “I decide to ‘let drift’ over my lips and in my eyes a faint smile which I mean to be ‘indefinable,’ in which I might suggest, along with the qualities of my nature, my amused consciousness of the whole photographic ritual.” We might recall the self-fashioning of avid users of Facebook or Instagram. But for Barthes, the stilted acting was a tactic of defense, a protective façade against the alien agency of the photographer, the cold indifference of the machine. My own inclination is to tighten my lips, harden my cheeks, narrow my eyes, like a store greeter turned to stone. The very idea of a camera makes us see ourselves through the eyes of others—an audience that can’t be known, whose values can’t be anticipated. We imagine friends or family or strangers or even enemies. Barthes likened the effect to heautoscopy, the sensation of seeing one’s body at a distance, roughly approximated by the feed of our front-facing cameras. He acknowledges, “I do not stop imitating myself, and because of this, each time I am (or let myself be) photographed, I invariably suffer from a sensation of inauthenticity, sometimes of imposture (comparable to certain nightmares).” Barthes, in other words, was his own worst critic, judging the smile in the picture against what he knew to be the feelings underneath. Despite his defensiveness, he wanted something true revealed, something genuine captured, what he called “the precious essence of my individuality.” The phrase is a little ironic, but Barthes believed strongly in the power of photography—especially amateur photos—to display artless truths, accidental details that could epitomize a personality. If only the click…didn’t…take…forever, or come in an unending series, catching a range of expressions always a crucial millimeter out of shape. My lips twist and tighten as I look into the void, bracing for impact, straining under the weight of an ever-faker grin. Meanwhile, some patient soul says, “Ok, one more…wait, your eyes were closed…one more…try to smile this time…like a human.” Selfies preclude this ordeal but strand us, as we confront, once and for all, what we really think of our faces and ourselves. Social media let us waive old formalities and reach out on new terms, making contact with others in moments of unguarded solitude. To grouse about the vanity of selfies is to forget they comprise networked conversations. People, not just celebrities, use them to connect. For Barthes, “The ‘private life’ is…that zone of space where I am not an image, an object”; the camera, he believed, invaded that space. But selfies seem less like invasions than invitations. And they permit us to be subjects, as well as objects, taking our own pictures almost however we like. In any case, it needs to be said that the author of Camera Lucida spent relatively little time fussing over pictures of himself. The book has much more to say about images of others, most of all a single picture of Barthes’ recently deceased mother, Henriette, as a child. “I studied the little girl and at last discovered my mother,” her bereaved son wrote. “In this little girl’s image I saw the kindness which had formed her being immediately and forever.” The so-called Winter Garden Photograph, withheld from the book, haunts every page and informs the central premises: “I decided to ‘derive’ all Photography (its ‘nature’) from the only photograph which assuredly existed for me, and to take it somehow as a guide for my last investigation.” That’s why some scholars dismiss late-Barthes as self-indulgent, conceptually solipsistic. He turned his back on big ideas, the thinking goes, preferring idiosyncratic moods and obsessions. But still, these feelings are directed toward other people; indeed, Barthes expresses great love even for pictures of obscure, long-dead strangers. And Camera Lucida commands a big audience, far beyond academia, not despite but because of its confessional openness, which for many readers is a posture of generosity. We think anew of our own family pictures. I recall one of my own mother as a young woman looking carefree and sophisticated. I think of a framed picture of my grandmother smiling ecstatically next to the old entertainer Danny Thomas. Like her son, Barthes’ mother too disliked being photographed, yet she “triumphed over this ordeal by placing herself in front of the lens with discretion…for she was always able to replace a moral value with a higher one—a civil value.” She must have understood that, on the other side, taking a picture is often an act of affection. No one sees your face as you do, in so much detail, as interestedly and idiosyncratically, but maybe someone has found in it something admirable, something you’ve failed to discover yourself. Barthes believed only his mother was able to take a good picture of him, the criterion being “love, extreme love”—but maybe it’s something milder, mere curiosity, openness to someone’s differences. Or just some portion of the perceptivity Barthes himself demonstrated in Camera Lucida. Editors’ note: Jason Pearl is an Associate Professor of English at Florida International University.